Nike’s long history of running shoes and design has come full circle with its newest iteration of the React Element 55. Combining heritage and innovation, this lightweight performance shoe merges the two into a beautiful, progressive silhouette. The React Element 55 has become an instant favorite amongst fans of comfort and style. It’s simplistic—yet innovative—design epitomizes Nike’s efforts of merging past and present into one. While there have been several “Tie-Dye” inspired releases over the years in Nike’s catalog, very few have stood out quite like this one. 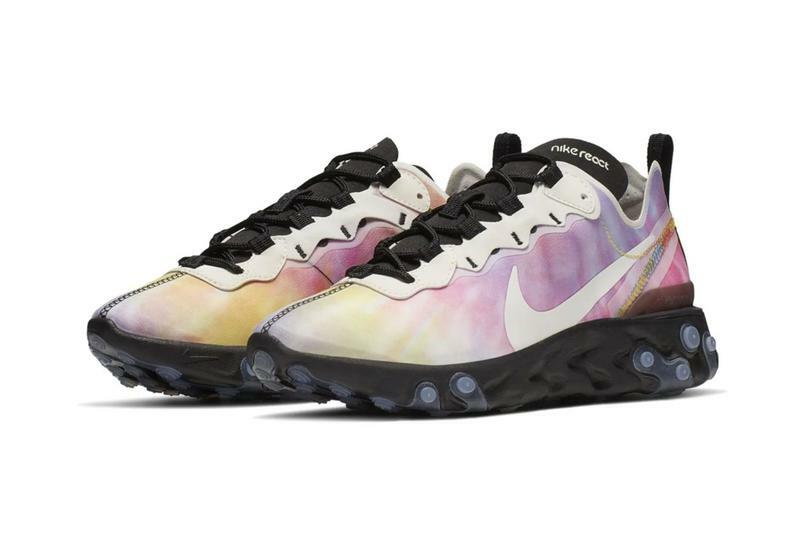 The upper of this Nike React Element 55 boasts an array of psychedelic colors that are beautifully contrasted with a black tongue, pull tab, and sole. 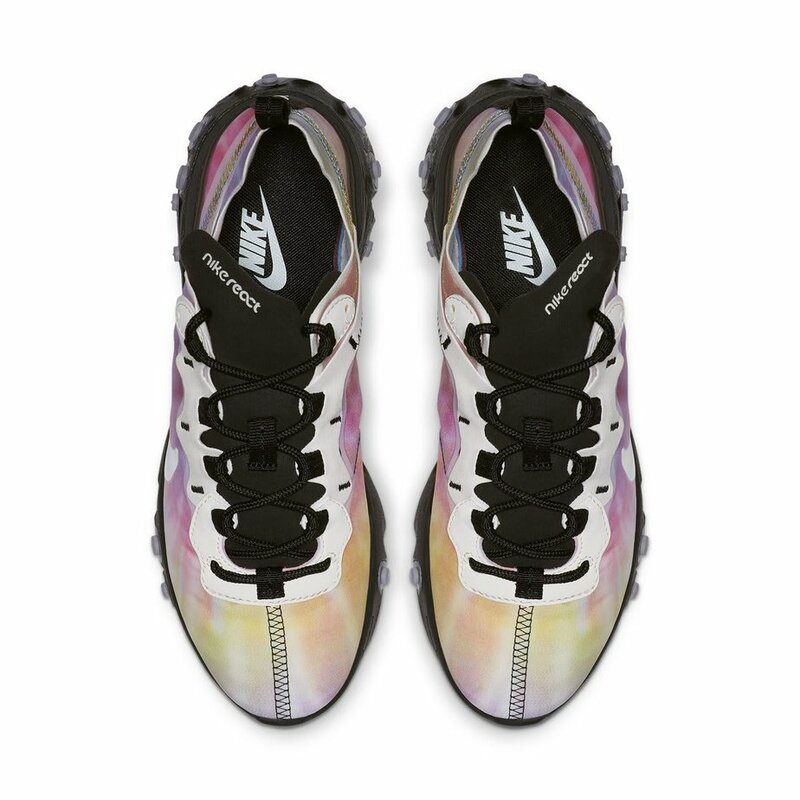 Its lacing system and Swoosh sit quietly with a cream color scheme adding subtle detail to the vibrant Tie-Dye look. The juxtaposition of colors allows the shoe to blend impeccably and gives the React Element 55 its most aesthetically pleasing colorway to date. 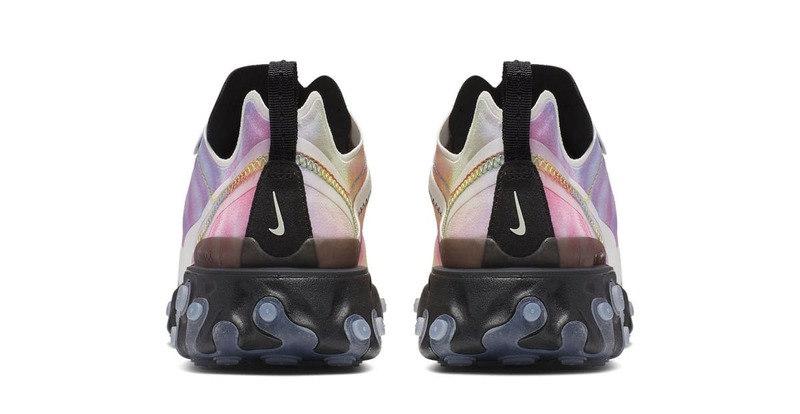 While no official pricing has been announced, fans of the shoe can expect an approximate price point of $130 USD much like other React Element 55 releases. Furthermore, a release is likely coming soon now that images have leaked. 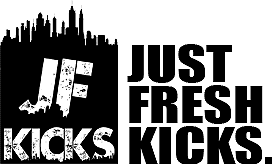 Be sure to stay tuned to JustFreshKicks for updates, and continue reading below to view additional photos.